Feline Leukemia Medication. Naturopathic/Homeopathic Treatment. For relief of short and long term Leukemia in all feline breeds. 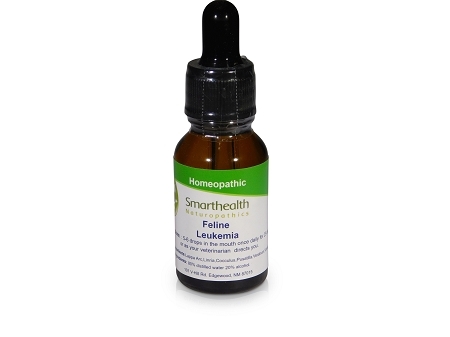 Fights leukemia and the symptoms of leukemia in cats of all types. This product can be given to prevent leukemia as well, give one vial per year helps prevent leukemia. Leukemia Treatment. Directions: administer 4-5 drops directly into your cat's mouth once daily for 25 days or you can use a clean cats bowel add 5-6 ounces of clean lukewarm water with 6-7 drops of formula,take all other water away. Active ingredients:Cocculus, Linria,Lappa Arc,Pulsatilla,Vanadium,Veratrum. Inactive ingredients: 80% distilled water 20 % grain alcohol. Feline Liver Remedy.Homeopathic Formula. For Jaundice,Detox,Toxoplasmosis,Shunt,Fatty Liver. Canine Antibiotic. All Natural Homeopathic Drops for Lyme Disease, Rabies,Heartworms,Tapeworm,Parvovirus,Ringworm. Feline Herpes Virus Pellets. High Potency, Homeopathic.